The Tartan Army has made it clear that it wants Gordon Strachan to succeed Craig Levein as Scotland manager but does the 55-year-old former Celtic, Coventry, Middlesbrough and Southampton boss deserve to be such a hot favourite? It is easy to see why bookmakers reacted to the news of Levein’s sacking by installing Strachan at the head of markets on the next permanent Scotland coach. He played 50 times for the Tartan Army and he enjoyed success during his spell as Celtic manager, steering the Bhoys to the last 16 of the UEFA Champions League twice. Also, he is available without compensation having left the Teessiders by mutual consent in October 2010. He ticks a lot of boxes. But one cannot help feeling that Strachan is very short odds to not only be offered the job but also take it. He has been out of the management game for more than two years and, if he has serious designs about being the boss of a top team in either England or Scotland again, then the route back to the top probably does not include stepping into Levein’s shoes. Another former Scotland midfielder, Craig Burley, hit the nail on the head when he said that the successful candidate would be putting his reputation on the line by taking the job because it is difficult for the country to qualify for major tournaments. And it is a long-term job so one cannot see the Scottish Football Association hiring any boss whom it thinks wants to manage a leading side down the track. With two points from four matches, Scotland has almost no chance of qualifying for the 2014 FIFA World Cup in Brazil. That means that whoever succeeds Levein is going to be on a hiding to nothing for the next two years and will not have an opportunity to make the Tartan Army love him to bits until the UEFA Euro 2016 qualifying program kicks off. Strachan could want the job and, if he does, then the Scottish Football Association will find it hard not to appoint him. The Tartan Army has held up banners with Strachan’s name and started a social media campaign. But surely there is a bit of value in opposing Strachan, ideally with a likely candidate who fits the profile and bookmakers have underestimated for one reason or another. Alex McLeish has managed Scotland previously but one cannot see him accepting the job again until he has had a chance to rebuild his reputation as a club boss. The same applies to Owen Coyle, who is licking his wounds after being shown the door by Bolton, and former Nottingham Forest coach Billy Davies. Neither Coyle nor Davies is a big name, either. Of the likely lads listed by bookmakers betting on the next permanent Scotland manager, which totals about 30, the best bets at the odds seem to be Walter Smith and Joe Jordan. Smith, who is trading at odds of around 16-1, had Scotland flying before he walked out to rejoin Rangers. Some people will hold that against him but that is football and there is little doubt that his appointment would lift spirits. 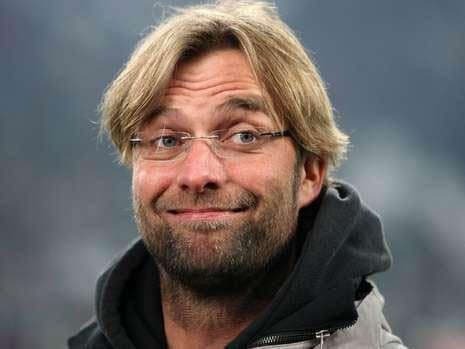 The bottom line is that his managerial record is outstanding. Jordan, who has been specked into odds of around 12-1 (at bet365) is the type of football man for whom the Scotland job should appeal. 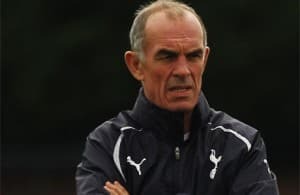 Regarded as one of the best coaches in the sport, he has worked closely with Harry Redknapp for years and is on the record as saying that he is happy with reports linking him to the newly vacant position. Scotland needs someone inspirational for whom managing its national football team would be the pinnacle of their career, not just a stepping stone to greener pastures. That sounds just like Jordan.